I love the look of those boots! It definitely looks extremely warm and frankly kinda cute on you. I have heard amazing things about Sorels Boots. Thanks Jeannie! Those boots kept my feet toasty yesterday! These are great boots Jenna! My ten year old wears a ladies 8!!! So we bought these for her just this winter and she loves them. They are so cute with the fur and they will keep her dry. Perfect combo! Suz, wow! Your daughter's growing well, congratulations! She will stay warm and dry this winter! Thanks Dawn! You're right about the boots being necessary in our climate! I'm enjoying the boots very much. Amy, I hate leaking boots and the remedy: plastic bags in boots! Thos boots look so damn comfy! 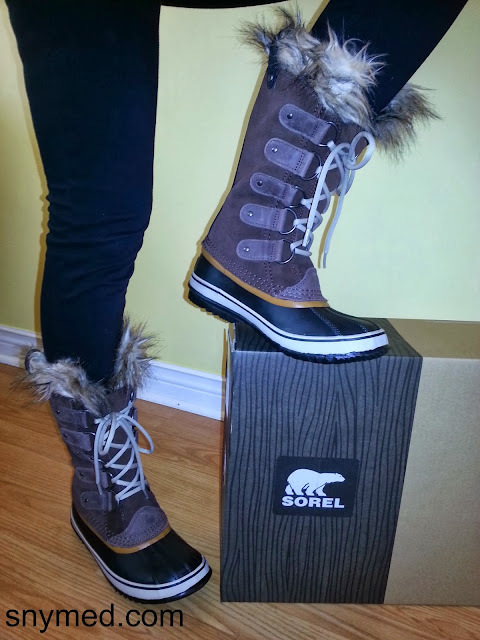 I have Sorels and love them. Craig, I'm glad that I have Sorels again this year! I know I will be set for the winter! 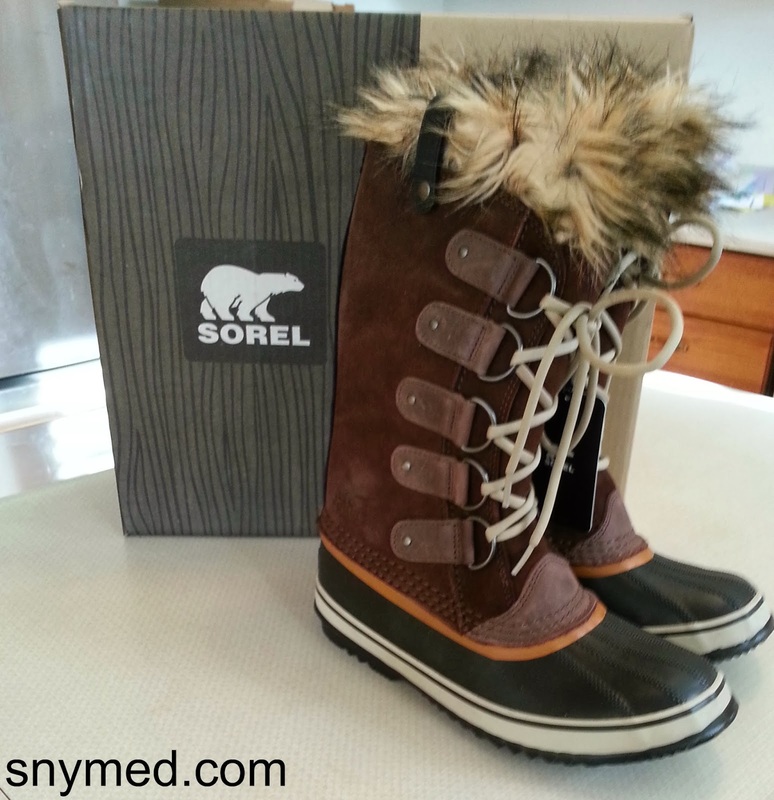 We have Sorel boots in this house too! We spend the winter at the rink. :) But, mine do not have that nice fur so I think it might be time for an upgrade. :) Thanks for the info! They look really nice. Thanks Lisa! The ice rink is SO chilly, I get chilly just thinking of it! Cheers to a boot upgrade! hubs has a pair of sorels too, they are so warm and toasty! Warm and toasty is the only way to be in the Canadian winter, MVTB! Thats one thing I always have trouble finding for winter, good boots! These look nice, comfy and warm! Thanks for sharing your findings! Thanks Alyssa! There are so many sizes in the boots and half sizes too, so this is the first year in a while that I have boots that fit properly. honestly, these boots would be so fantastic. currently i have a pair of walmart winterboots and not only are they falling apart.. THEY ARE RUSTY! So wrong. Retrophiliac, rusty? That's just nuts for a pair of boots! Time for a new pair! I haven't had those in years. These look really nice. I may be in the market for some again soon. My kids could use another set of really good ones. We live in boots all winter and then skates and so forth. Warnth is not optional. 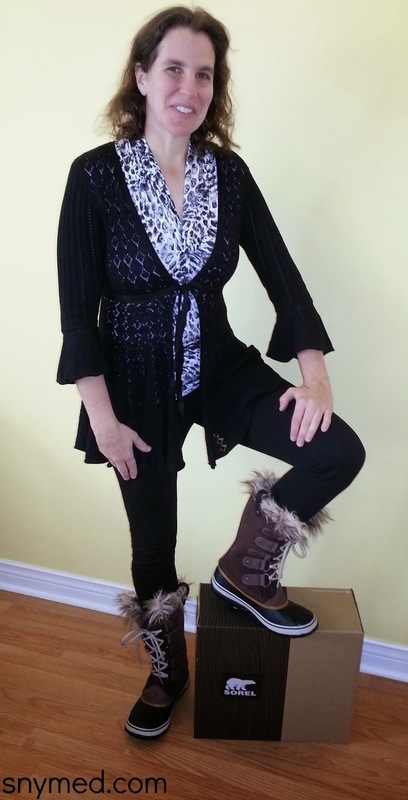 Paula, it's such a good feeling to have a good pair of winter boots! And once their in place, they last and last and last. Love the pose Jenna! I know just the person who would love a pair of boots like this. Thanks Melinda! They're great boots, and I've seen them all over in fashion magazines this month. I loved my sorels. I had a pair that keep your feet warm to -40 and someone took them or 'relocated' them. Yours are really cute. Thanks bobbi! It's just wrong that someone would take your winter boots! Awesome Nancy, what colour did you buy? I really love the boots and wore them through the snow today! I see the Joan of Arctic boots popping up in fashion magazines everywhere this month. I bought the black ones with cream stitching! It was a hard decision about which pair I would get! I have to say I've worn them everyday since I bought them! The black with the cream stitching is a nice choice, Nancy! With the snow today in Toronto, you can bet I was wearing mine and stayed very cozy!